‘The Lost Boys’ is a brand new hip hop show on ZUMIX Radio hosted by Biggie, Chris, Dawry and Chad. 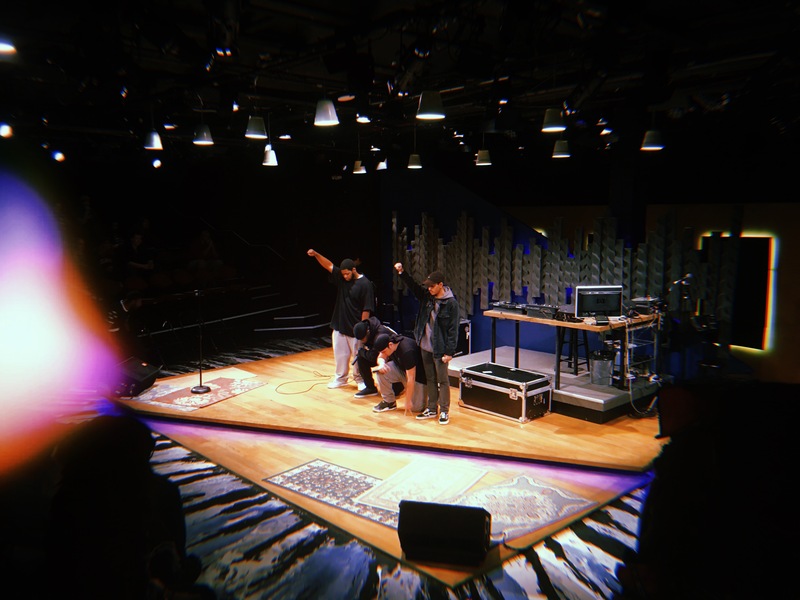 In this post we are highlighting the first three interviews they have conducted with Kiki.D, Rex Mac and the actors of ‘Hype Man‘. You can tune in to hear them live on-air every Tuesday night from 7pm to 8pm. “If you tune in you would get a better understanding of hip hop culture in Boston and get to see new generations of hip hop artists coming to fruition who are on the rise while getting to hear great new artists you normally wouldn’t hear. Over the last couple months the ICA Boston Teen Programs have come to visit ZUMIX Radio to discuss their fall audio projects. Below you can check out the full interviews and listen to the insight they’ve gathered from creating those projects. The first interview below features the Thursday Fast Forward Video Class and the second interview features AMP the music production class. All photos courtesy of ICA Teen Programs. A lot of different motivations bring people through the old firehouse at ZUMIX. Parents bring their kids for a robust after school education; young-at-heart community members drop in to broadcast from the radio station; youth go in to learn, yes, but also to be young people. And that sometimes implies that, when you are given the power to choose the theme for the summer programs, you decide it is all going to be about space camp. What brought Mariel through those doors this summer is the long-standing question of how we can use our existing windows into youth’s lives to promote critical thinking about the technologies in their everyday lives. What brings Brittany is the feeling of exploration that happens everyday in the radio studio, which she imagines to be similar to what Armstrong felt on the moon. But the beautiful thing about youth development is that it’s not about one or two forces dictating the path. Some think that creating educational experiences is about choosing the wackiest ice breaker and pushing people through the right number of post-it brainstorms. But really, curriculum building is closer to juggling, pulling a vast number of elements into a symphony; facilitating is about encouraging a process of group thinking and learning process that fits within a larger pathway. Youth media literacy curriculum work tends to juggle three main components: technical skills, conceptual and analytical skills, and collaborative skills. In terms of ZUMIX radio workshops, the technical part involves learning the ins and outs of a radio studio, the software, the ZOOM recorder, and then the radio formats; conceptually, it’s about developing a grasp of the topic of choice — in our case, inner and outer space, and the technologies connecting them — and the ability to communicate those themes to each other and an audience; collaboratively, our youth practiced ways of working together to make a unified show, exploring the space camp theme selected by the ZUMIX Teen Council. In terms of radio formats, we focused on the vox pop (meaning ‘the voice of the people’ — our link to outer space) to promote understanding of others’ perspectives; radio diaries (one person’s audio documentary of their day — our link to inner space) to promote richer reflections on the topic at stake. To explore the ‘colors’ of radio, we also designed a produced show introduction and sonic IDs. In terms of the topic of analysis, we promoted tech reflection through exercises like ‘A Day in our Musical Lives’, critical discussions of app features like the Snapchat map and Jukedeck, best and worst case scenario exploration, and the interpretation of youth and adult tech perspectives from our ‘Tech Spectrogram’. From these exercises, our youth chose two topics, Snapchat and music technology, as the frames for each of their two radio shows. In terms of radio communications skills, youth set goals for their own learning, through critical listening of their recorded radio work. The goals they determined after the recording of their first show were: improve the natural flow between the inner space and outer space segments, minimize ‘awkward silences’ and dead air, and practice voice tones and volumes. The broader youth development approach of the program (and ZUMIX as an organization) had an impact on different levels of the process. Our own co-facilitation involved Ana, a 14-year-old MLK intern at ZUMIX, who mastered ice breakers and her own radio production skills to facilitate the process for the group. The improvement of radio work was all based on the group’s own assessment and their own goals. And a lot of the class time was about creating opportunities for listening and talking about the portions of our lives that otherwise would not get discussed. And then it’s about how all of this fits into a pathway; how this workshop builds on skills that youth have already developed in school and in other ZUMIX programs, and also crafting the steps that follow. We are happy for the launch of The Firehouse — a new daily radio program at ZUMIX, with collaborative themes and music curation, that aims to bridge the gap between the introductory course and independent youth-produced shows. In the end, helping youth realize their potential and their actuality implies connecting their pathway to a broader community. 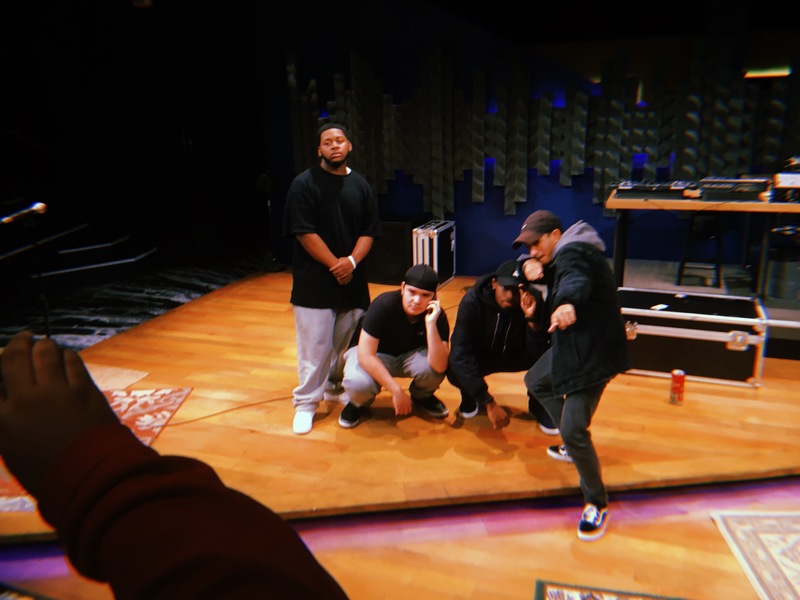 Youth media literacy work is about learning to communicate with others, from the ability to interview Nate Matias about Snapchat and Alexander Dorsk about music technology, to creating content that addresses community needs. Despite this juggling of infinite elements, the intro radio program at ZUMIX is about creating empathy for your co-hosts on a radio show, and gratitude for the beautiful window radio provides into our communities. And if as an educator you are wondering about radio as an outlet to see this transformation happen, give it a try — wait until you see their faces when they listen to their own recordings on air. You can find the curriculum for this program here. You can also listen to ZUMIX radio, and see some tweets and other photos from the process. Take a listen to an episode of Intergalactic Intersection! 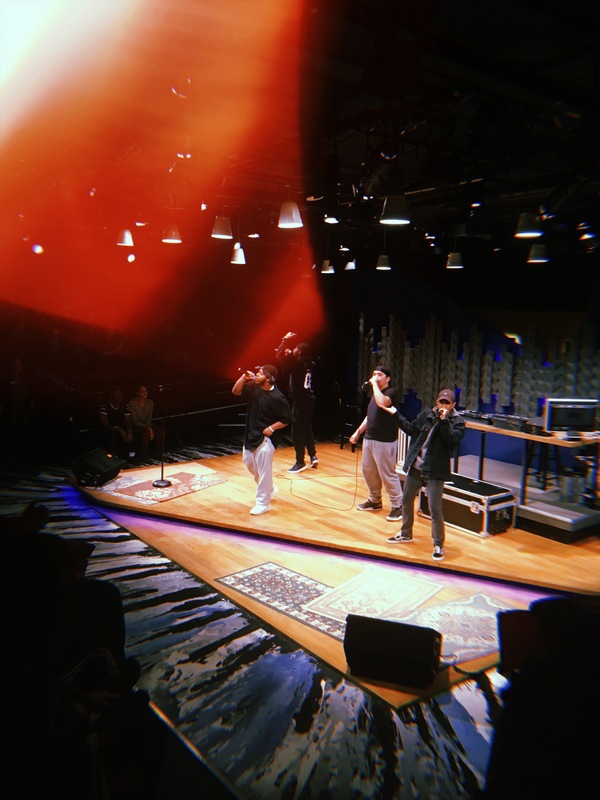 Last week, ZUMIX Radio host Dawry opened the studio doors to a bold a bright group of young people from the sound art program at Inquilinos Boricuas en Accion (IBA). This summer was the group’s first time experimenting with audio – writing commentaries and interviewing friends to create radio pieces on topics of their chooding. The pieces aimed to show that, big or small, our passions keep us moving. Broadcast live on 94.9FM, IBA‘s show featured eight radio stories and brief interviews about the inspiration behind them. Check out the recording below to hear more about the young people’s thoughts on net neutrality, their dominican identity, the importance of art-making, and dreams of becoming a pilot, to name a few. Thanks so much to Inquilinos Boricuas en Accion and their dedicated instructor, Crystal Wegner, who led these youth through their first audio projects. We hope these are the first of many stories.